This past weekend, the WNBA continued celebrating its amazing 15 years on the scene by announcing their 15 greatest players of all time at the All-Star Game. Since we are all about girl power here, we had to publish the list. The league began in the summer of 1997 with the slogan "We Got Next!". 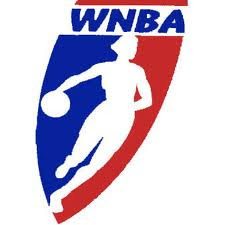 Well needless to say, these ladies have taken the game to the next level, and made women's professional basketball a mainstay in American sports. More than 700 women have played in the league over the years with many more to come. Thanks a million to the women of this amazing league. We wish you another successful 15 years and beyond! Congrats and thanks to these ladies for blazing a trail for little girls everywhere!